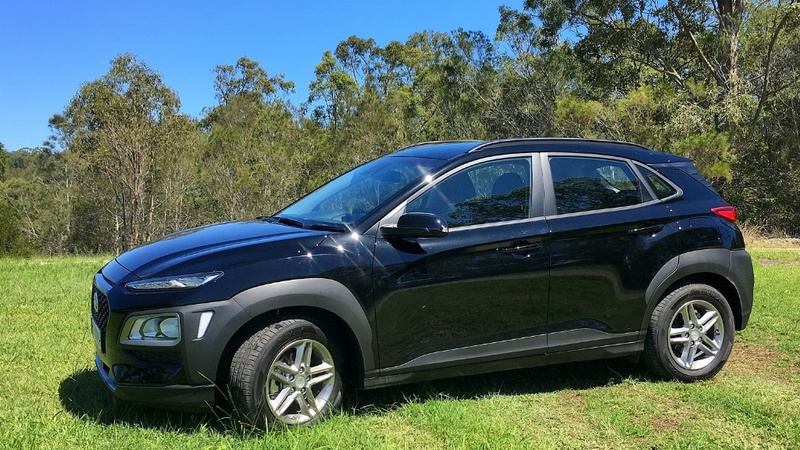 The Korean giant has thrown a 'spoiler' into the vibrant small SUV market, the Hyundai Kona, where it goes toe-to-toe with the segment’s most dominant player, the Mazda CX3. Year-to-Date in Australia (at end September 2017), the market is flat, but so far this year 75,584 small SUVs have been delivered, versus 75,378 to the same point last year. This is one hot market sector! The absolute leader of the segment in September was the Mitsubishi ASX, but its fortunes rise and fall month-by-month; and it’s Mazda’s CX3 which everyone is chasing. So, where does Kona sit – by comparison? The Hyundai scores a great big plus over most of its competitors. The new SUV from Korea is based on the outstanding Hyundai i30, which provides more interior room, more practicality and a much more comfortable ride. Most of the competing models sit on platforms donated by smaller models – for example the Mazda CX-3 is based on the Mazda 2 car platform. Others have platforms unique to the model, but the way manufacturing efficiencies are developing all carmakers will be moving to completely modular architectures. That development was originally led by the Volkswagen Group, but many other companies are continuing to refine the technique. To hit the hot buttons in the small SUV segment it seems Toyota and Hyundai are following a pattern set by the excellent Suzuki Vitara. 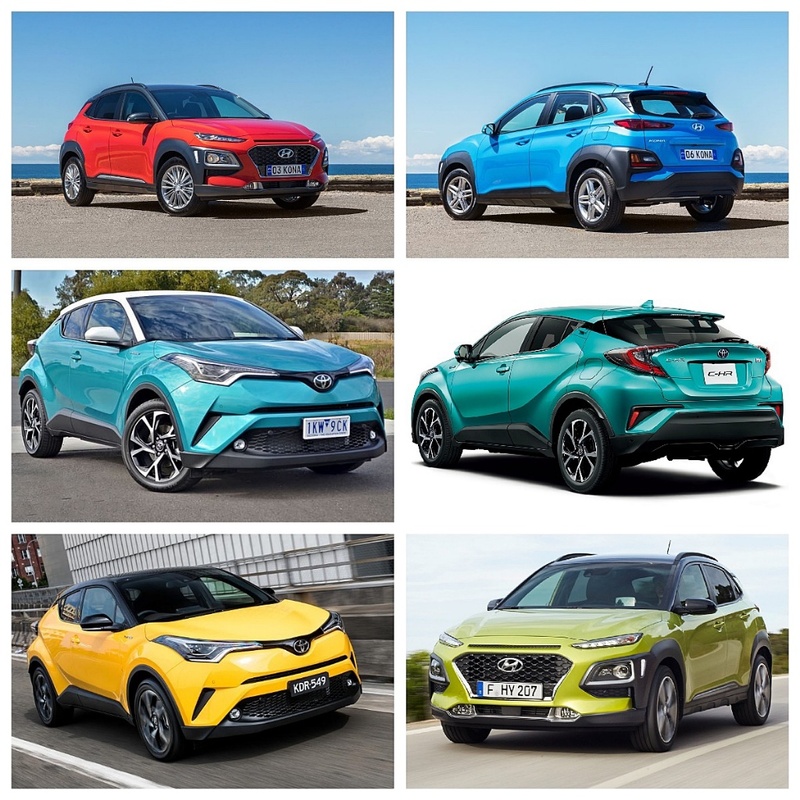 Although my test car was the base model Kona – in basic black – Toyota, Hyundai and Suzuki are offering a multiplicity of color choices, contrasting trim dress-up kits, and interior tweaks aimed at stimulating market choices. The exterior color combinations are brash, bold and ensure you won’t lose your car in a car park. Here’s how Hyundai’s Kona shapes up against Toyota’s very impressive C-HR. 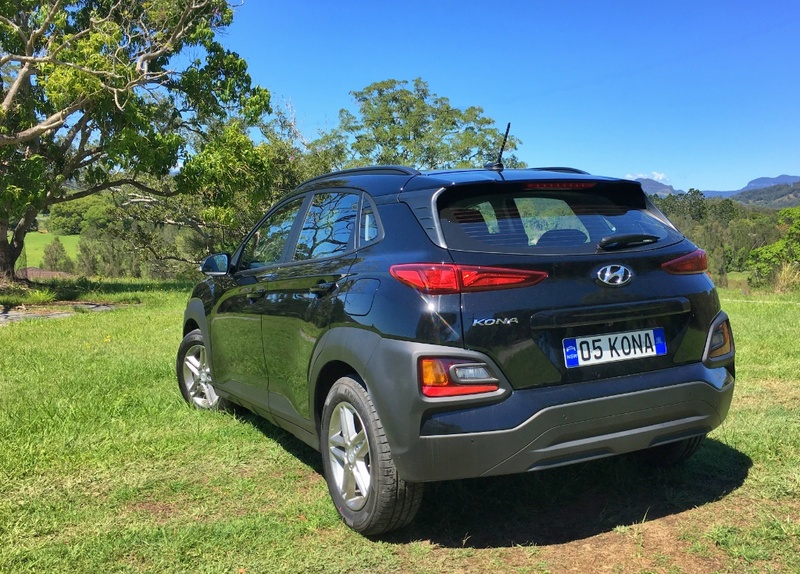 The other impressive standout of the Kona is the ride and handling, and the performance. It’s basically the i30 powertrain package, complete with Hyundai’s own, excellent 6-speed auto. The power steering is beautifully weighted, and all up it is probably the most pleasant car in this group of small SUVs. 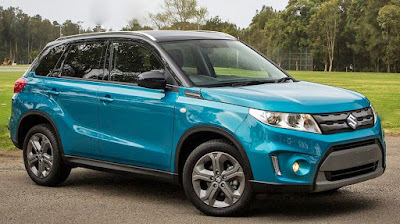 The Kona has Apple CarPlay and Android Auto, and quite frankly unless you lust after bold color combos and more tech, the base model Kona (maybe in a brighter color) will prove to be capable, economical and reliable. That’s all you want for your dollars, right?